Canyon is a steep valley which the depth is greater than the width. In 1994, Chinese Brahmaputra Canyon was selected to be the worlds first Grand Canyon, its length is 504.9 km, average depth of 5,000 meters. 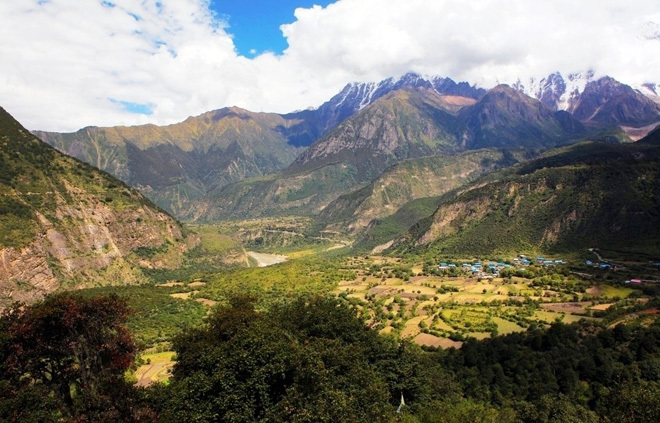 In the eyes of Chinese people, there are a lot of versions of "Chinese top ten most beautiful valleys". Beauty is diversity, especially the beauty of the natural landscape, at the same time beauty is common. In this selection process, all the judges voted the highest score to the Yarlung Tsangpo Grand Canyon, because her great beauty really shock us. Brahmaputra Grand Canyon is located 5 degrees north of the Tropic of Cancer, 496.3 km long, with an average depth of 5,000 meters, and the depth between the Namjagbrawa Peak and Jialabailei Peak is 5382 meters, which is the deepest canyon in the world. The narrowest point in the Grand Canyon is 74 m. Began from Mainling district, around the east for the U-shaped bent Namjagbarwa, and then extend southward to the Medog County near Xilang. There are two world-famous peaks at the two ends of Brahmaputra valley, one is the Chinese Namjagbarwa (7782 meters high), the other is the Kashmir Nanga Parbat (8125 m). The length and depth of Brahmaputra Grand Canyon is far beyond Colorado Canyon (349 km long, deep 1,800 meters) and Peru Cole Canyon (depth 3200 m), so it is well deserved for the worlds largest canyon. Grand Canyon up to 4000 mm annual precipitation, natural water reserves up to more than 6880 kilowatts. Grand Canyon is the most abundant mountain ecosystems and vegetation type biological canyon valley in the world. From the few hundred meters above sea level bottom, to the Namjagbarwa, there are all types of trees and plants, such as the tropical semi-evergreen monsoon evergreen mountain rain forest, subtropical evergreen broad-leaved semi-evergreen forest, warm temperate evergreen coniferous forest, Zhongshan , subalpine evergreen coniferous boreal forest, sub-arctic alpine shrub meadow, alpine ice and cold sub-arctic ice and snow and other high mountain ecosystems, the distribution in sequence along the valley slope, and is known as a natural vegetation type mountain world museum. Ancient human remains have been found in the valley. From the analysis on ancient human remains such as pottery, stone axes, spinning wheels and other small stones, we can find that as early as 8,000 years ago, there were human activities in the Brahmaputra Grand Canyon. Tiger Leaping Gorge is 20 km long, have a drop of 213 meters, it can be divided into three sections, with a total of 18 rapids. The narrowest part of the river is only 30 meters. 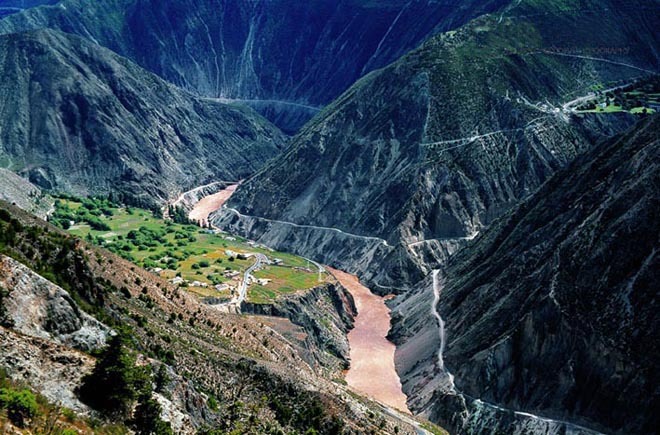 Tiger Leaping Gorge is the world famous Grand Canyon, and known for its magnificent odd risk. 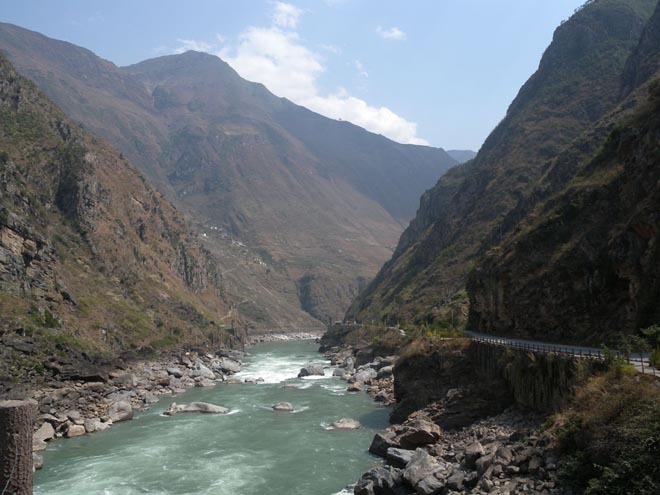 From the town of Tiger Leaping Gorge, along the Haba Snow Mountain foothills, and down the rivers, you can enter the canyon. 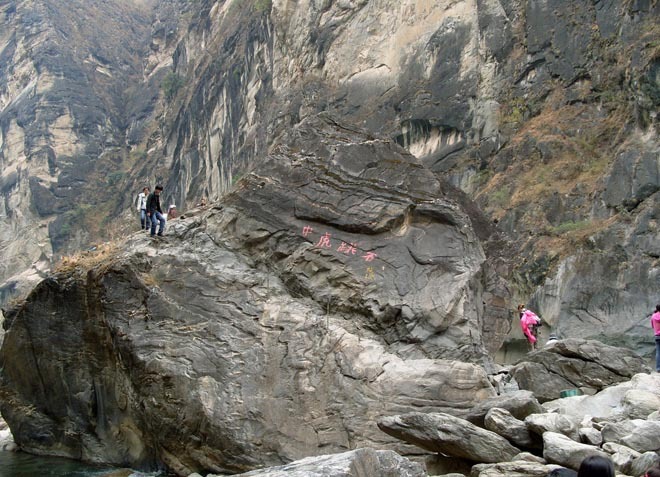 The first section of Tiger Leaping Gorge is nine kilometers away from the town, there is a direct road, and it is the narrowest section of the canyon, only 30 meters width, and there is a 13 meters high river stone, that is the tiger jumped stone, according to the legend, there were tigers jump across the big gorge by this stone. Tiger Leaping Gorge is dangerous, but this "dangerous" win its reputation, and it is this "dangerous" attracts countless foreign tourists to this beautiful adventure. The Three Gorges is a magnificent landscape of the Grand Canyon on Yangtze River, and it is also one of Chinas top ten scenic spots. 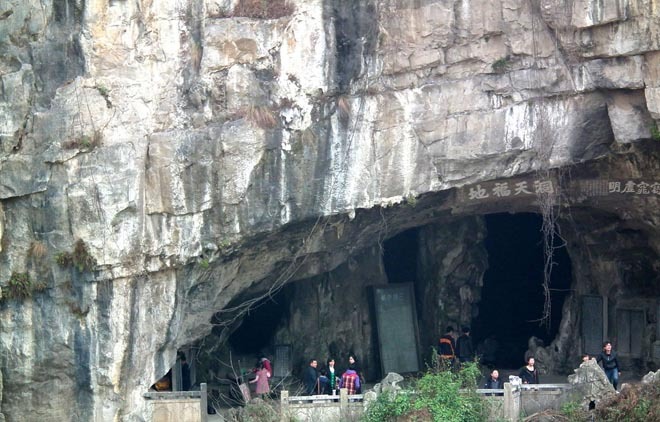 It starts from the west of Baidicheng of Fengjie County,Chongqing, and ends in the Nanjinguan Pass in Hubei Province, consisted of Qutang Gorge, Wu Gorge, Xiling Gorge, with a length of 193 km. It is the essence scenery of the Yangtze River, flashing a charming glory. The magical and simple of the Daning River, Xiangxi River, and Shennongxi River in the three sections of the Yangtze Ri ver valley makes the world famous spectacular landscape gallery present a changeful prospect. All the things in the Three Gorges are so picturesque, the mountain, the water, and along with many beautiful and touching stories. 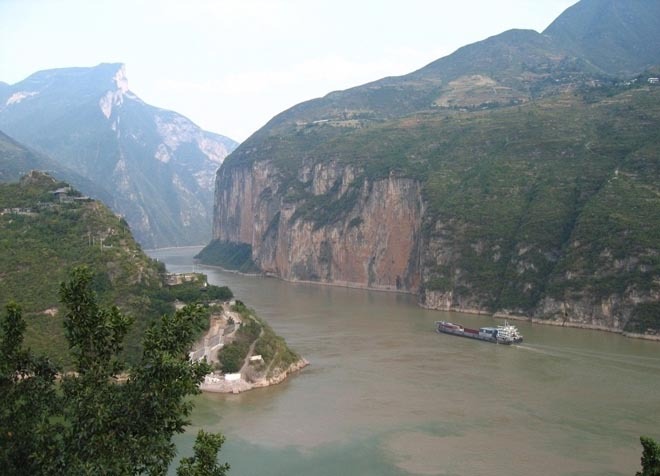 The Three Gorges was the birthplace of ancient Chinese culture. The famous Daxi Culture shines extraordinary in the course of history. Deep Gap Ravine was the battlefield in the Three Kingdoms period. 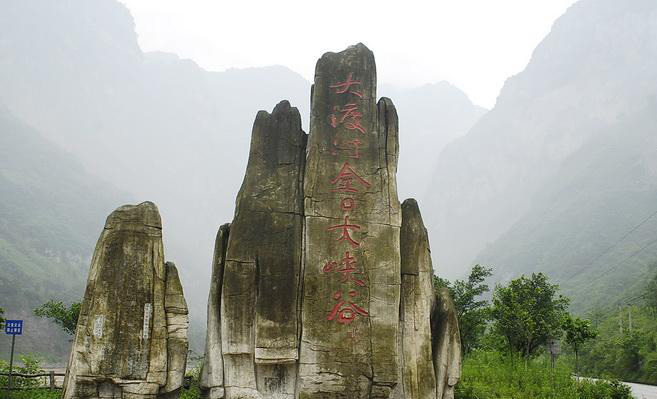 There are many famous monuments: Baidicheng, Huangling, Nanjinguan and so on. They are showing their charming landscapes with each other, and have been known in the world. 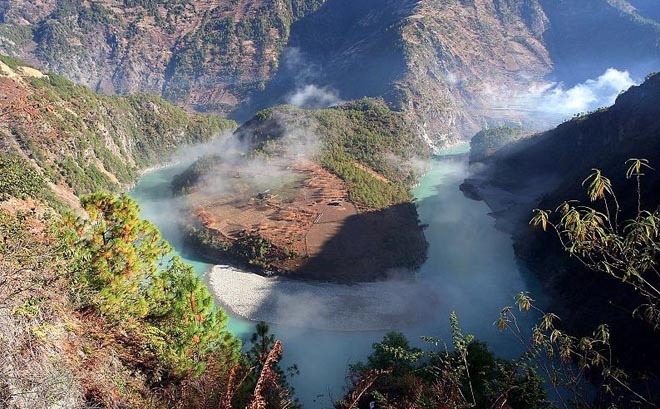 Nujiang Grand Canyon is located in the valley area of Hengduan Mountain, which three rivers follow together. 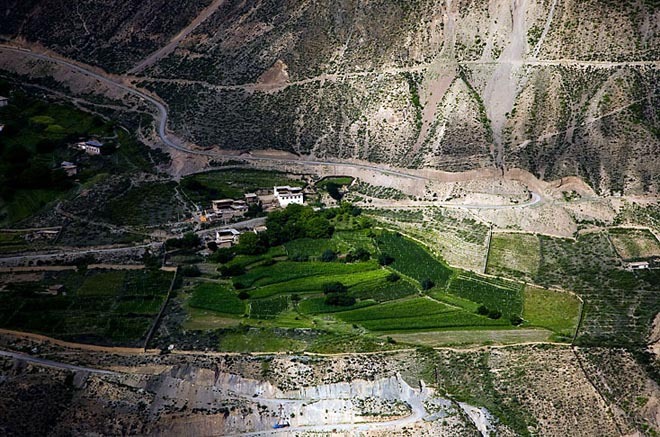 The section in Yunnan is up to 300 kilometers, with an average depth of 2,000 meters, the deepest is the Bingzhongluo area, in the Gongshan Mountain, up to 3500 meters and known as the "East Grand Canyon". 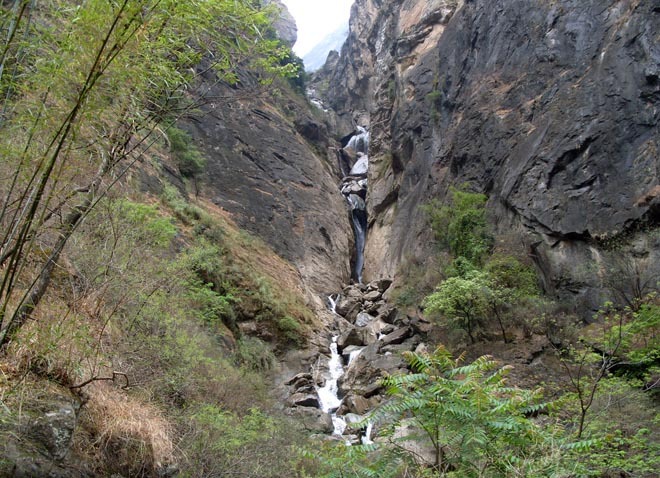 There is supercritical flow between the Gaoligongshan Mountain (4,000 meters above sea level) and Biluo Snow Mountain, the rapids throughout the canyon, steep mountain sides, several overlapping peaks, the famous landscapes are: Shuangnawadi Peaks Gap, Lishadi Stone Moon, Moon Mountain, Magee Cliff, Bingzhongluoshihmen Pass, the first Beach of Nujiang River, Lawuya Falls, Sub-shocked mother and daughter Peak, Jiangzhong Song and so on. There are a dozen ethnic groups distributing around Nujiang Grand Canyonion: Lisu, the Nu nationality, the Drung nationality, the Bai, Pumi, etc. with unique customs, so mysterious! 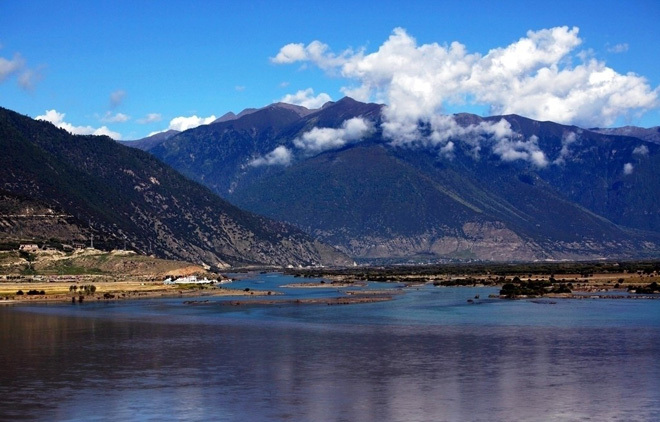 Running through Tibet and flow into Myanmar, Lancang River has a 150km length section in Deqin County. 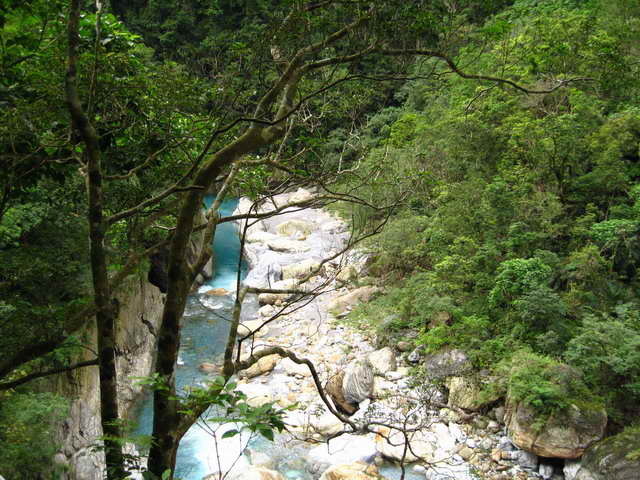 This section of the river is 2006 meters above sea level, altitude 6740 meters straitening up to the Kagebo Peak, and the valley at 4734 meters above sea level elevation above. The slope distance from the surface of the river to the summit is14km, an average km increase 337 meters, canyon has a near-vertical slope. 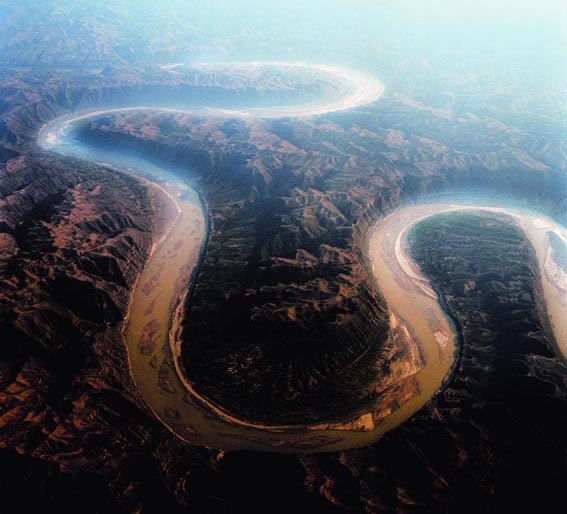 Lancang River Grand Canyon is famous for its deep and length, as well as its rushing rapids. In winter, it is clear and rushing, while muddy and surging in summer. Narrow river turbulent hit shore, the thundering sound of water, it is very spectacular. Such a steep mountain valley terrain, so strange wonderful geological formations, in deed, it is rare in the world. 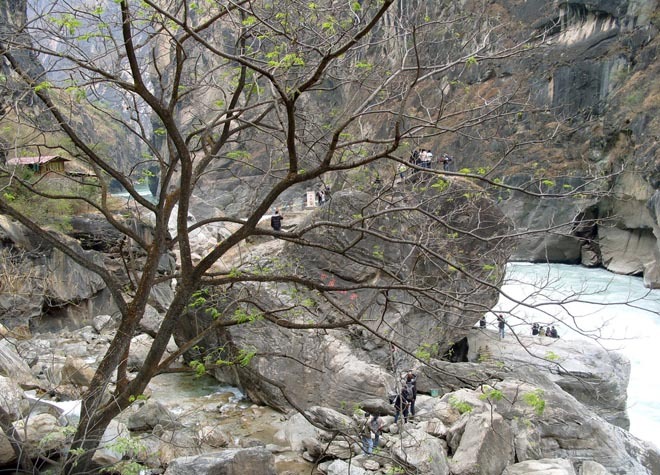 Taroko Grand Canyon, located in Hualian County, eastern Taiwan, is a well-known tourist destination. 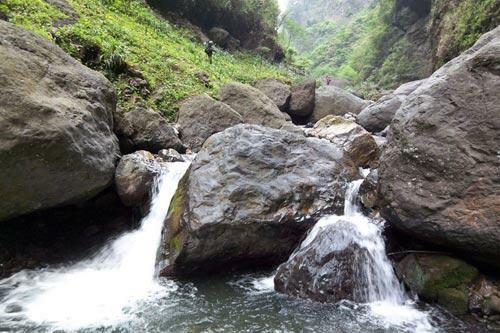 The stream rapids down from Hehuanshan mountian which has an altitude of 3,000 meters, the drops reach 20 to 30 meters per kilometer in many places. Continuing lashed by the water, the canyon become deeper and deeper, formating this Taroko Grand Canyon, the wonders of the world. Roads in this valley are extremely difficult for walking, people can only slot in the stone, quarry on the cliff, hit the tunnel, or frame a bridge. 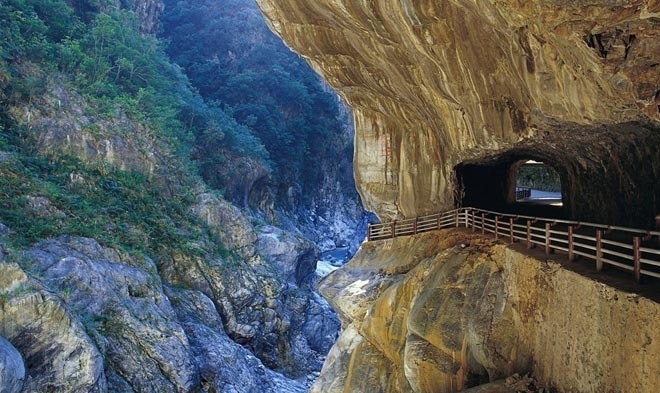 The 1.9 km long Tunnel of Nine Turns is the main scenic attractions in Taroko Grand Canyon. 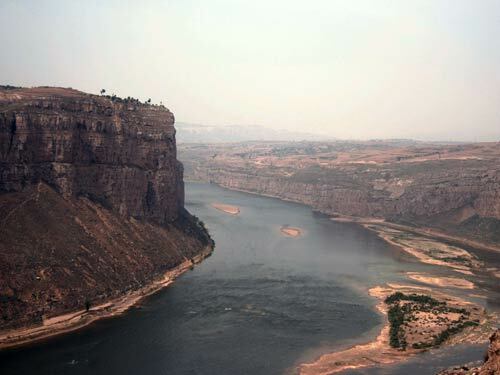 Starts from Tuoketuo, inner Mongolia in the north, to Hejin Yumenkou in the south, JiShan Grand Canyon on Yellow River has a total length of 725 km, along a total of 27 counties, an area of 111,600 square kilometers. Jinshan Grand Canyon, west of the vast Ordos Plateau, east of the border mountainous area, north of Yinshan Mountain, south of valley. Cross the Grand Canyon and along the Yellow River there is rich tourism resources, cultural heritage, and beautiful natural and cultural landscape, historical and cultural heritage. The Grand Canyon is nature, creative, with unique scenery, and very spectacular. Located in the temperate zone, the Grand Canyon is in continental monsoon climate, with four distinct seasons. The weather is cold in winter but cool in summer with mild climate and pleasant environment. 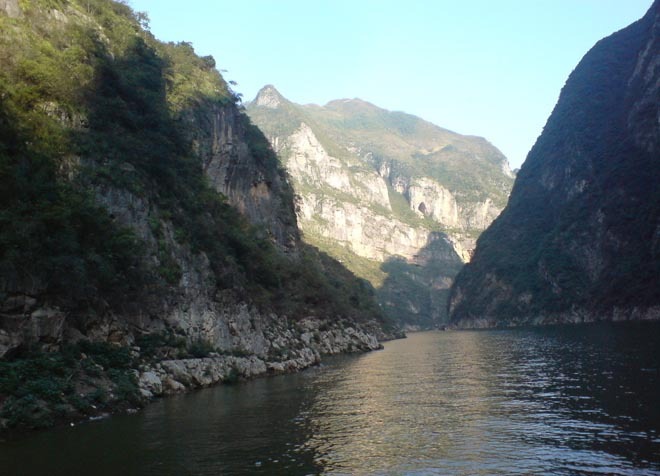 Starting from Chengdu, after nearly four hours by car, Jinkou Grand Canyon will appear in front of you. Step into this magnificent, natural, and spectacular of the Grand Canyon, dry climbed cliffs, you will feel that thousands of peaks greets to you. 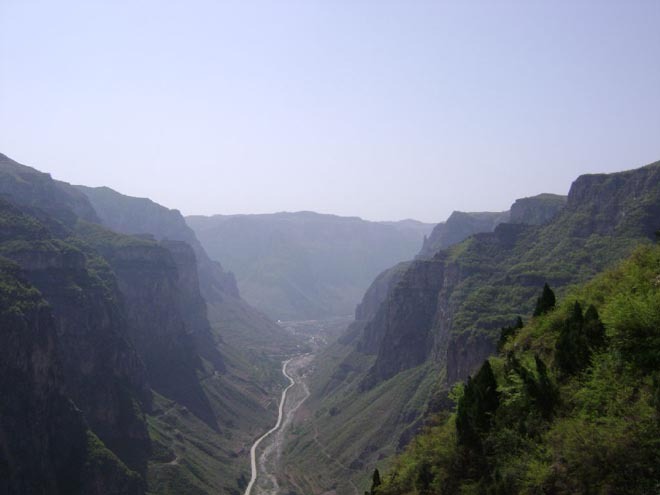 Jinkou Grand Canyon is about 30 km long, with less than 200m valley, but deep up to 2600 meters. 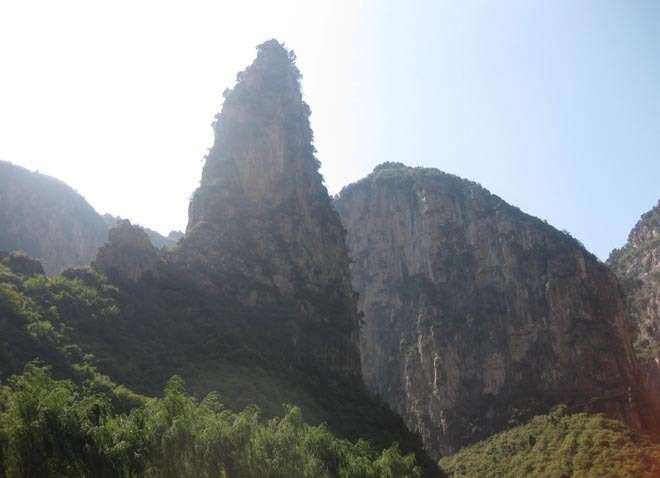 There are various pictographic landscapes at the two sides of the Canyon, dangerous rock towers, many piles of mountains, the tree shade, waterfalls and downs and all kinds of flowers are flourishing, with extraordinary natural elegance, forming a beautiful landscape road. Overlook from the hillside, the water of Dadu River is so clear, soft, yet down to the bottom, the gentle river become a restrain horse, running thought the mountains. In the north shore of Grand Canyon, it is the Dawashan Mountain, with an elevation of 3236 meters. This is a M form Triassic basalt mesa, whose geological structure is the same with Emei Shan and Wawushan. The platform on the top of the Peak has an area of about 1 square kilometer, and ancient trees, it looks vigorous, the scene is really spectacular, better than Mount Emei, Wawushan. 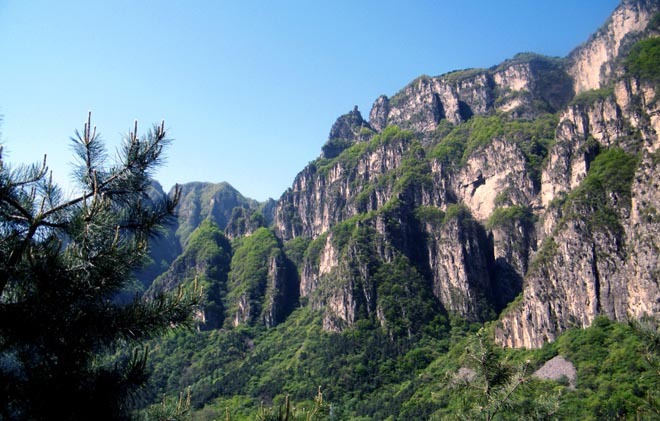 Taihang Grand Canyon is an scenery tourist area (National Park), located in Huguan County, southeastern of Shanxi province, covers an area of 93 square kilometers, with 74.9% forest and grass coverage rate. Within the tourist area, beautiful peaks, strange stones, unique topography, creating the most exotic natural beauty with a rare animal and plant resources. 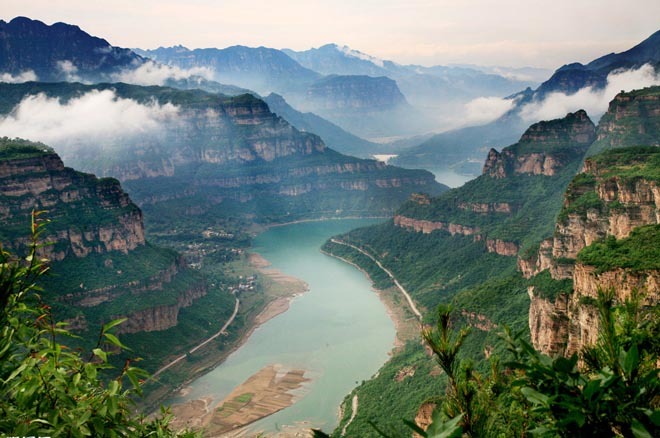 Taihang Grand Canyon is the "Ocean" of peaks, the country of the stones, the world of the caves, the village of water, the garden of plants water, and paradise of lives. Scenic area has beautiful and exotic scenery, woodlands cliff, rocks, springs, waterfalls, caves, temples, legends, a total of more than 400 landscapes and 44 attractions. Kuqa, called Kucha, this oasis town is an important stop on the ancient Silk Road, since the Han and Tang Dynasty, it has been the center of Western Regions’ economic cultural and political, the Central Plains culture, Western culture and foreign culture continuous integration development, leaving rich cultural heritage, it is surrounded by at least seven Thousand Buddha Caves and the four ancient ruins, and what’s more, it is located in the Tianshan Mountain, with beautiful natural scenery, coupled with the countrys ancient traditions, so Kuqa is a compelling tourist destination on the ancient Silk Road. The main attractions in Kuqa are:Kyrgyz Air Asia mountains, the size of Longchi Pool, Kumu Tula Thousand Buddha Caves, the Kizil Thousand Buddha Caves (1-2 hours from Kuqa), Kizil Ga Ha Feng Sui and Kucha city and so on.